The masterchef, Mrs. Anisa Siraj slicing her famous Kaju Barfi. 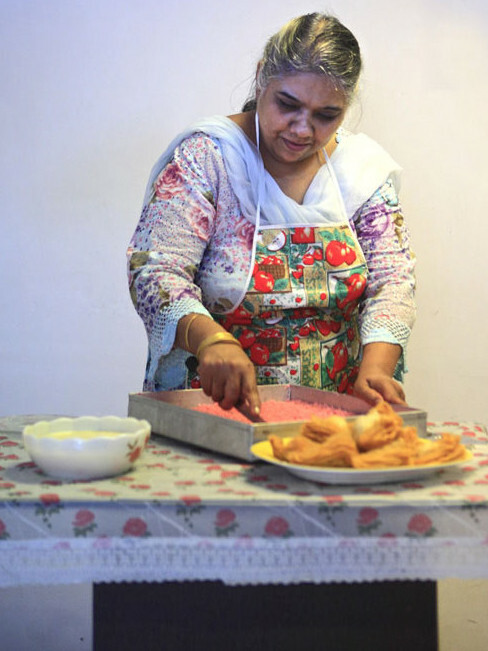 The culinary career of Mrs. Anisa Siraj sparked within the four corners of a home kitchen in the year 1984. Previously known as ‘The Party Givers’, the foundation of Anisa’s Kitchen was built by this brilliant woman who exudes serious passion, zeal and determination to date. The recipes that were passed on from her mother and grandmother are a beautiful, preserved secret, still kept handwritten in antique notebooks. 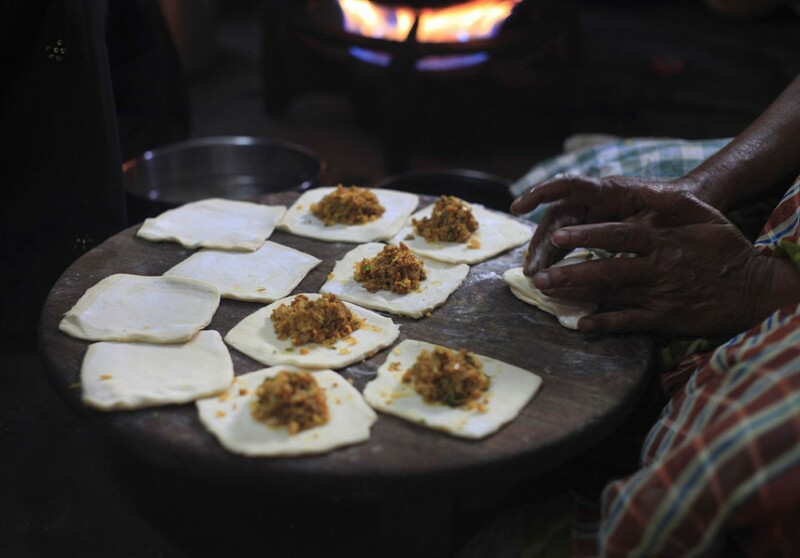 These recipes were born in the Kutch region of Western Gujarat, and differ greatly from the usual Muslim cuisine that is readily found everywhere. Kutchi food is not laden with heavy ingredients such as cashew nuts and fresh cream, as is Mughlai food. Rather, it is light, yet extremely satisfying and nourishing. Everything is hand-made from scratch in our kitchen. The dishes are laced with royal spices such as saffron, cardamom and cinnamon that create a magical and unmatchable aroma for the senses. Desserts are an important part of every meal, and are swirled with spices, rose water, dry fruits and fresh fruits. 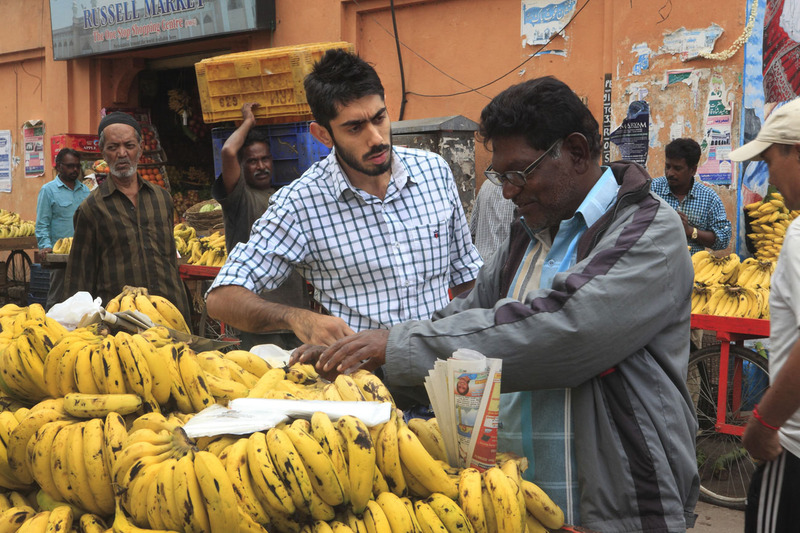 Till date, our ingredients are bought fresh from the local markets every morning. Over the years, Anisa’s Kitchen has diversified its culinary roots to other cuisines such as Afghani and Modern European. Our loyal customers are impressed by the manner in which we have maintained quality and excellence in our food for 30 years. We guarantee that we can make any occasion, be it a wedding extravaganza or a simple birthday party, a truly special one.